Camp Century is a case study for understanding the likely political fallout of the knock-on effects of climate change. These knock-on effects are secondary environmental problems—such as damage to infrastructure or the release of chemicals or waste housed on site—that can manifest when temperatures and sea levels rise. We need to understand knock-on effects like these because they are increasingly common. Last fall, Hurricane Harvey brought this problem home to the southern United States: climate change made a storm bigger and nastier than it otherwise would have been, causing much more damage than expected to chemical plans and refineries, which in turn released toxic pollutants. Knock-on effects of climate change are also responsible for nasty stuff from anthrax outbreaks to spreading viruses to mercury pollution. As these effects increasingly move from peripheral places like Greenland to our own homes, we will find ever more reasons to worry—and seek more people to blame. 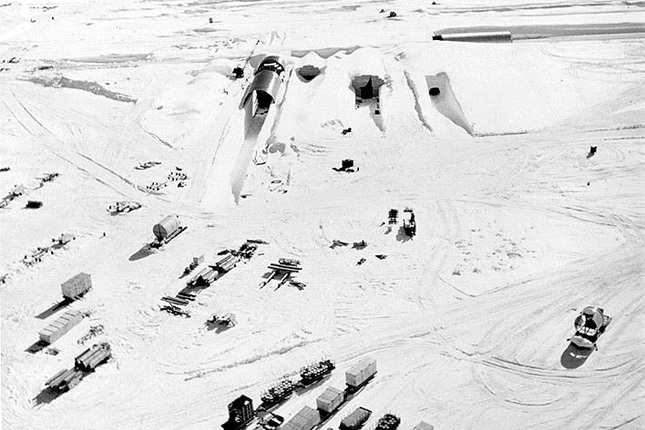 The environmental effects of climate change will affect the politics of military bases around the world—and not just those in the Arctic. Cold War-era sites in the Pacific Ocean, including Johnston Atoll and the Marshall Islands’ Runit Island), host radioactive leftovers, while other toxic remnants can be found at Orote Point (Guam), Ulithi Atoll (Micronesia), the Solomon Islands, and Midway Island. The rising sea levels associated with climate change elevate the risk that toxic waste left on these low-lying coral islands will be released into the ocean. The mounting evidence that these knock-on effects could pose risks to diplomacy and security ought to give the military and policymakers an extra nudge to take action to prevent, mitigate, and adapt to climate change—before it leaves behind an even more toxic legacy. 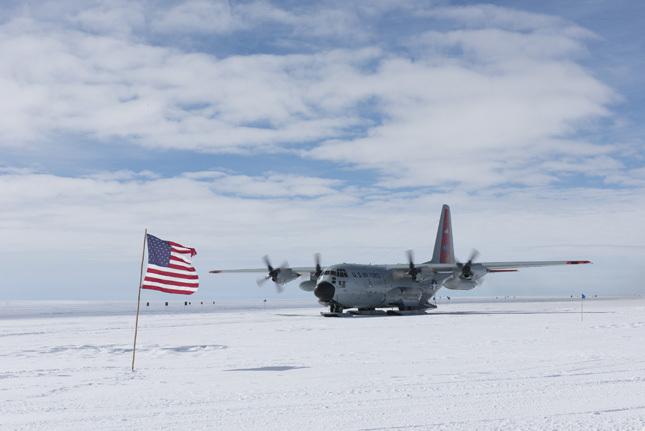 An LC-130 “Skibird” from the New York Air National Guard’s 109th Airlift Wing in Scotia, New York, at Camp Raven, Greenland, on June 28, 2016, courtesy fo the New York National Guard.